Hello there! 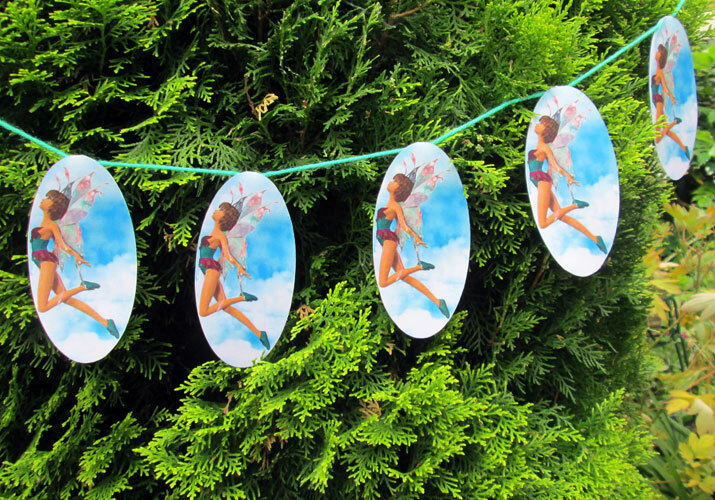 We’ve recently started to create printables from the Birthday Fairy. 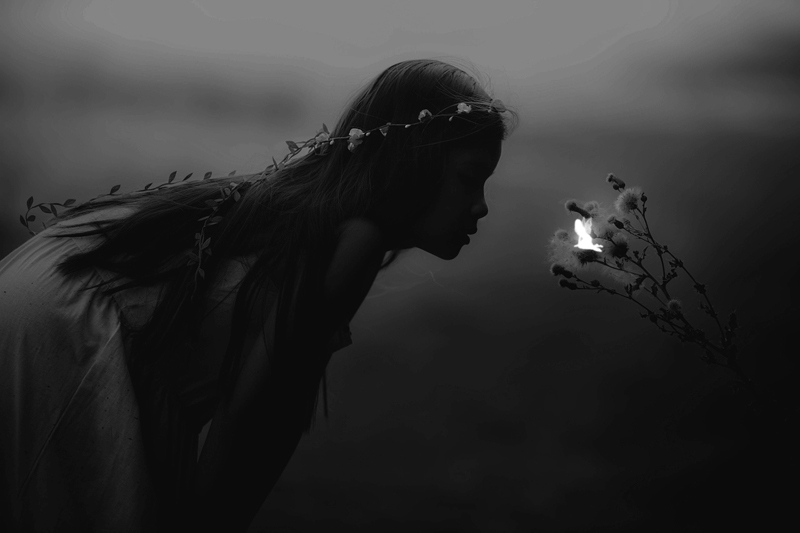 If you’ve never heard of this particular fairy, you can read about who she is and what she does further down this page. 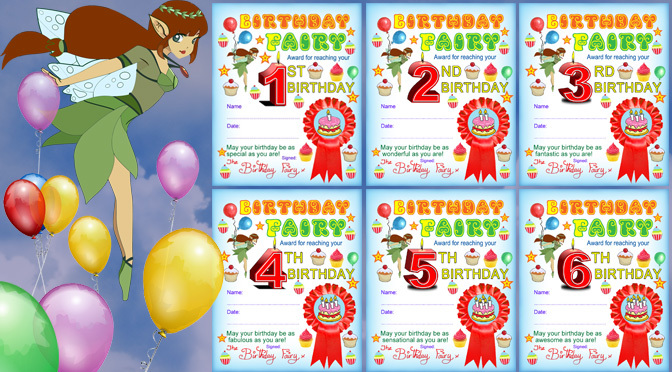 At the moment, we have two types of resource from the Birthday Fairy – letters and certificates – and all free of course! 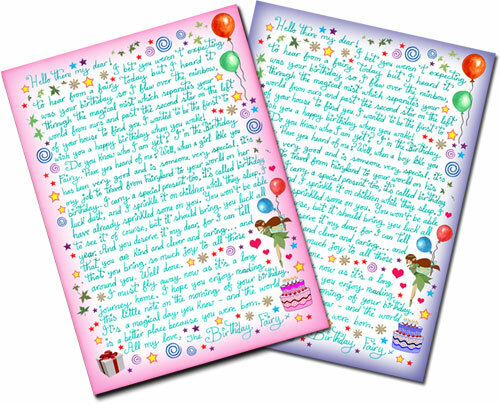 On the letters page, you’ll find free notes, poems and letters from the Birthday Fairy. 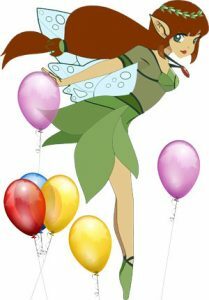 The idea is that she visits on the night before your child’s birthday and leaves a little message of fairy birthday wishes for your little one to read when he or she wakes up. It’s all about adding a little bit of magic at birthday time. We also have certificates from the Birthday Fairy and we’re hoping to add more soon. 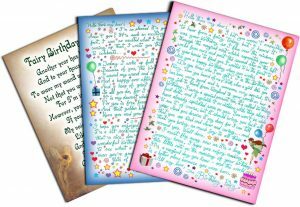 They’re a lovely way to say “Happy Birthday” from the magical world. 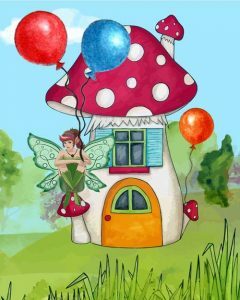 The Birthday Fairy lives in Fairyland, in a house made out of a toadstool. It’s a long flight from there to your house and she often has adventures on the way. When she visits, she sprinkles a handful of invisible birthday luck dust over sleeping children, to bring them good fortune throughout the year. 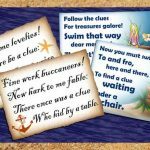 You’ll no doubt have your own stories to add to the magic too… our printables are just to make things a little bit easier and save you a bit of time.